The Lamborghini Gallardo boasts exceptional build quality and stunning good looks. Audi’s influence is evident in the Gallardo. The car delivers excellent performance and will have no problem getting the attention of driving enthusiasts. The car’s switchgear has been borrowed from the Audi A4, and are of a better quality and more attractive than past Lamborghinis. The car delivers excellent passenger room, even though the car only seats two, even taller passengers shouldn’t have any problems getting comfortable. The car comes with a high level of standard specification and boasts the firm’s E-gear system, a paddle-shift gear change system that is very impressive. Fuel economy will not be as impressive however due to the performance that the Gallardo delivers. The Gallardo sports a five-litre V10 and delivers 500bhp. The car delivers rapid acceleration and a fast top-speed. The car’s four-wheel drive and traction control systems help to deliver an amazing ride. The car’s reliability and build quality have been much improved. The Gallardo will deliver a satisfying ride with more than enough power. Buyers will be saddened by the high cost of insurance and repairs, but the good news is that the car should retain a high resale value. The Gallardo is a very expensive car to purchase and run. Insurance rates and fuel expenses will be high as well. Repairs will be very expensive and buyers should know that purchasing and owning the Gallardo will be an expensive venture. The Gallardo is only a two seater but provides excellent passenger space. Even taller passengers should find head and legroom adequate. The car provides enough storage space for a couple of small bags or packages. The car’s controls and instrumentation are beautifully designed. They have been borrowed from the Audi4. This is a big improvement over the controls and dials that have traditionally been found in a Lamborghini. The car’s seats are very comfortable and passenger space is very good creating a comfortable cabin area. The car’s electronic stability aids help to provide a smooth and decent ride especially impressive for a car that offers this much performance. The car is easily accessible and provides large doors and wide apertures. The car is set low to the ground and some passengers may have difficulty accessing the car’s seats but most passengers should find access more than adequate. Parking can be tricky due to the car’s low stance. Visibility is limited and drivers must use caution while reverse parking. The car’s rearview mirror and large side mirrors make parking much easier. 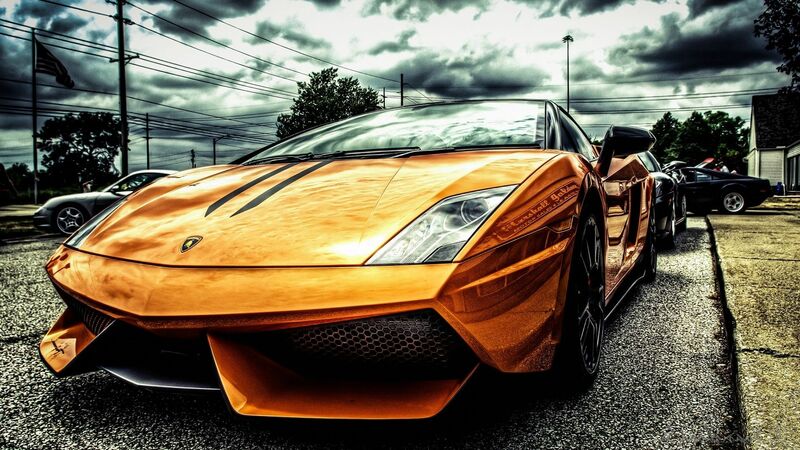 The Lamborghini Gallardo provides a rewarding, fast, fun and exciting driving experience. The car looks great inside and out and handles well. The car’s exterior style is hard to beat and its sporty nature will get even the most enthusiastic driver’s blood pumping. This isn’t a family car in any sense of the word. Children will not fit well in the car’s seats and may damage the car’s expensive interior. The lack of proper safety equipment makes it a bad idea to transport children in the Gallardo. Limited cabin space makes it unsuitable to perform any real family duties. The Gallardo is not a good first car. It is too expensive and would be impossible for a new driver to insure. There is too much power on hand for a novice driver and parking can be tricky not to mention running costs and repairs are likely to remain high through the duration of ownership. The Gallardo is a popular model and has a fantastic image; it’s fast and beautifully designed and loads of fun. The Gallardo boasts a better build quality and interior design than previous Lamborghinis. The car’s exceptional interior quality and the firm’s attention to fit and finish will help to boost the firm’s reputation. The car’s standard security features include a security alarm and an engine immobilizer. The Gallardo is an attractive performance car with a lot of kerb appeal. Buyers may want to purchase a visual deterrent as well. The car comes standard with an excellent braking system, electronic stability aids, a four-wheel drive system and airbags. The car’s basic audio unit is of good quality and produces excellent sound quality. The Lamborghini looks good in almost any colour scheme. The car’s exterior design looks very flattering in yellow and other bold, bright colours. Resale values should remain high due to the car’s waiting list and the popularity of the vehicle. The Gallardo is a very fast and stylish sports car, it looks and plays the part both inside and out. The car will turn many heads and not only look quite impressive but deliver an impressive ride as well.